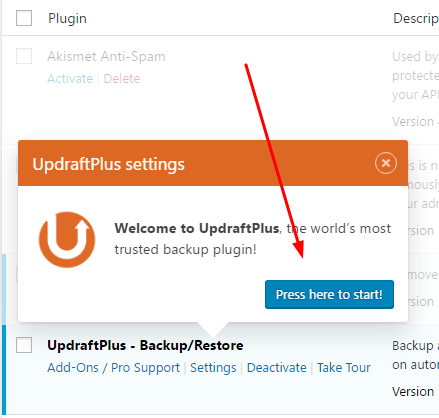 UpdraftPlus is a WordPress Backup Plugin, used by over a million WordPress Sites. Click Backup Now. Plugin will back up the entire website. 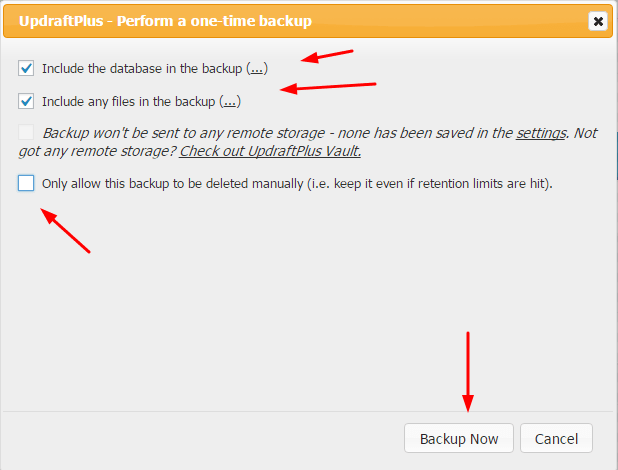 Backup File will be stored on your Hosting. And will save up to 2 files. If you want to change the number of backup files. Go to Settings.